Oh God, a hacker's on the loose with a new (but familiar) Google Docs phishing scam, and journalists are in the crosshairs. 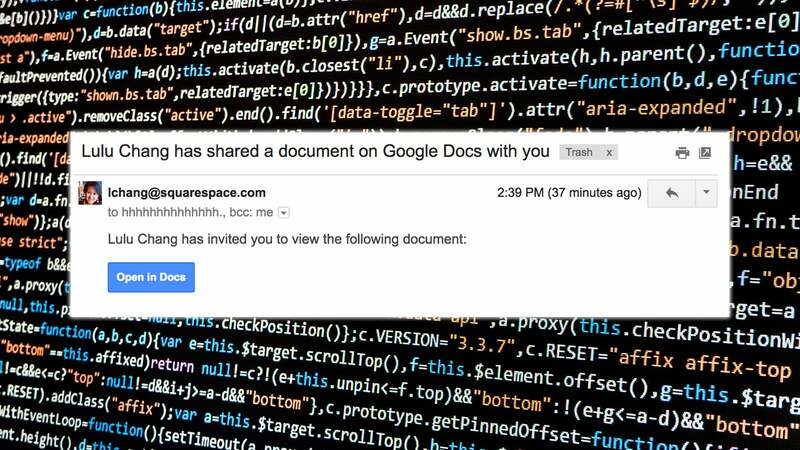 This morning, countless unsuspecting email users — including reporters from BuzzFeed, New York Magazine, Vice, as well as your friends here at Gizmodo Media — received some seemingly legit invites to view a Google Docs file. The email doesn't look quite right, but anyone who clicks through arrives at a login screen that looks almost indistinguishable from the same screen you'd see if someone actually invited you to a Google Doc. It's the one with a list of your Google Accounts, and it even matches Google's recent redesign. If you get an email that looks like the one above, delete it immediately. There's a good chance that it will appear to have been sent by someone with a legit-looking email address. One Gizmodo reader even shared an email that had come from a .gov email address. This kind of thing is easy to spoof, however. It's still unclear who's behind this attack, and we might never know. We reached out to Google for more information on the attack but had not heard back at time of writing.. In the meantime, be safe out there. And maybe don't click on any Google Doc links for the rest of the week.